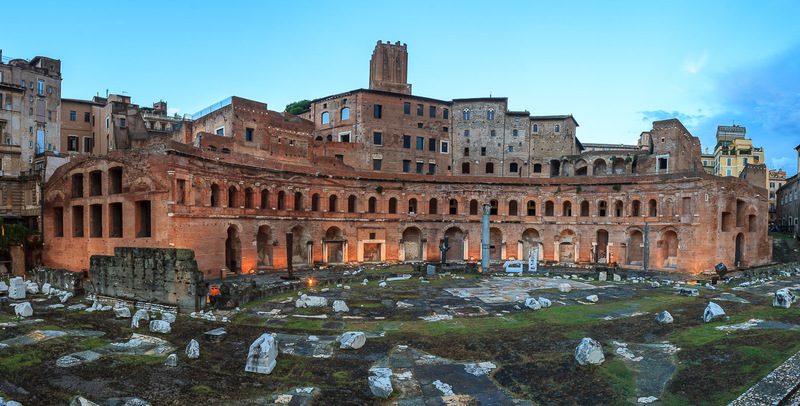 Trajan's Market, the world's first shopping mall, is 5 floors of ancient Roman brick and stone that you can still walk through today. Other than the Colosseum, I can't think of another multi-story building from ancient Rome that you can walk through. That alone makes it worth a visit. 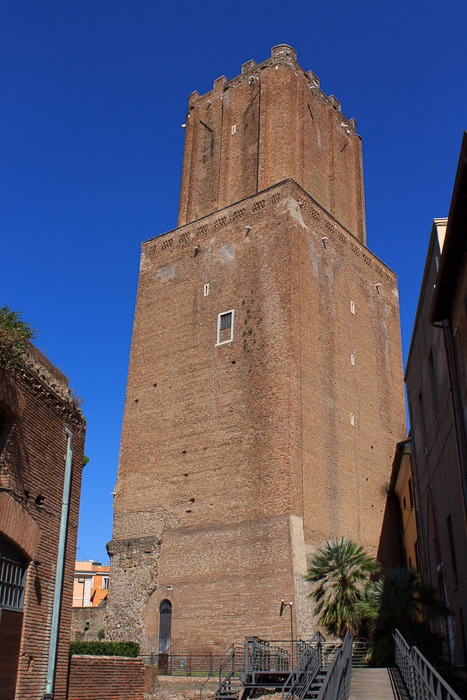 You can see it from the outside at any time, on the northeastern side of Via Alessandrina, from Via dei Fori Imperiali, behind Trajan's Forum. It's the big arc-shaped building with all the shop windows cut into it (1st photo below). This aspect of it can be viewed free of charge at any time. The setting sun lights its red bricks afire in glorious color (2nd photo below), and it is beautifully-lit at night (3rd photo below). 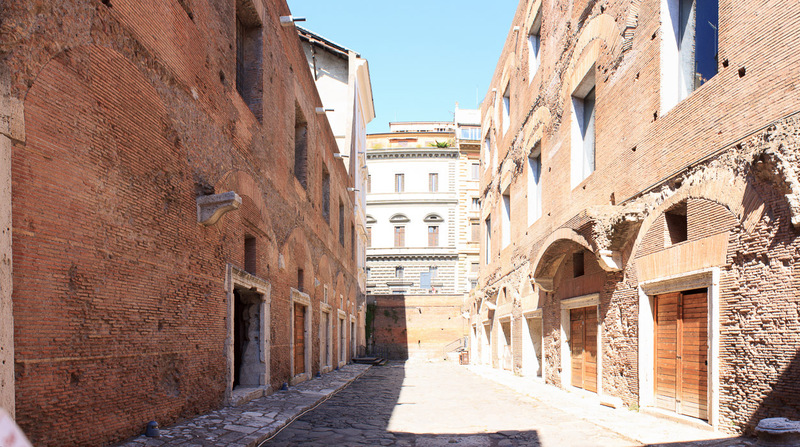 However, if you'd like to walk through Trajan's Market you need to tour the Museum of Imperial Fora, which is located in the building of Trajan's Market, charges admission fees, and has standard museum hours, including being closed on Mondays, and will require more than the 20 minutes I've suggested. 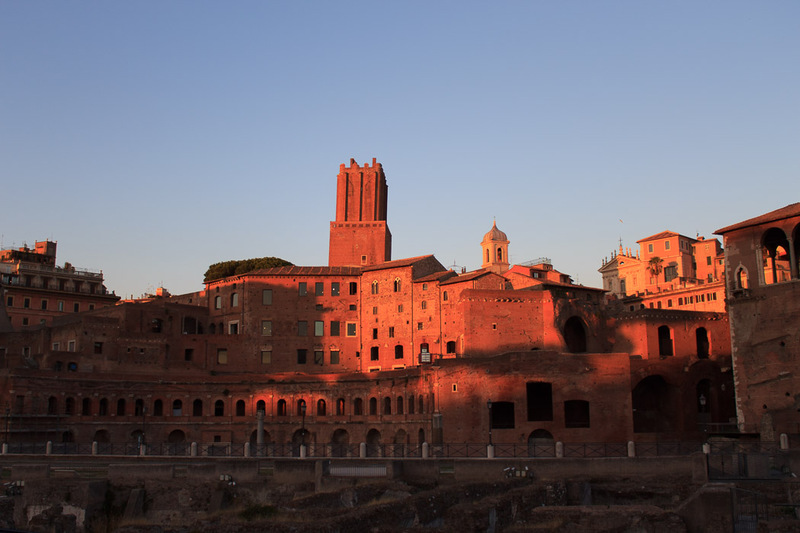 See all Trajan's Market photos. The arch of Trajan's Market forms a "retaining wall" against the edge of the Quirinal Hill, whose edge was carved away to make room for Trajan's Forum. Construction was begun in 100 AD and completed in 112 AD by the architect Apollodorus of Damascus. The market contains about 150 shops in small vaulted rooms facing onto corridors or onto the street (1st photo below). 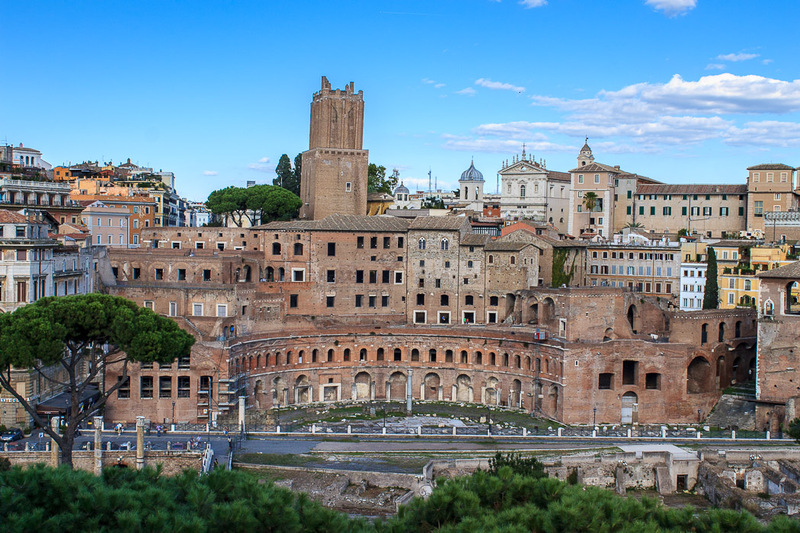 After the creation of this market, the sellers of the more base products like fish, oil and vegetables moved out of the Basilica Julia and the Basilica Aemilia in the Roman Forum and into this structure. During the Middle Ages, the complex was transformed by adding floor levels, still visible today, and defensive elements such as the Torre de Milizie, the "military tower" (2nd photo below) built in 1200.